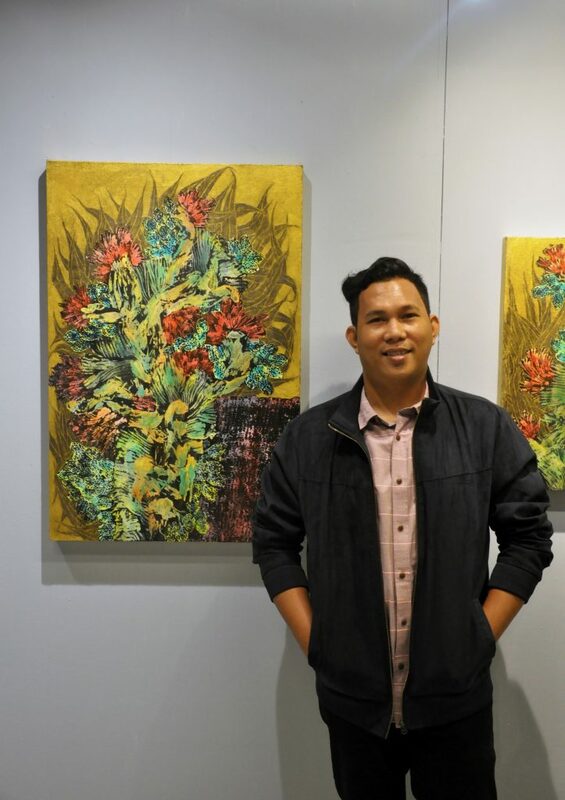 Julius Villarete, a local of Guiguinto, Bulacan, crafted his passion in arts in this small town which is known for flowering and gardening plants all over the metro. The main inspiration of Julius is one of the basic product in Guiguinto. Surrounded by flowers and plants, and known as the Garden City of Bulacan. This scenic town was big part of his daily life and will certainly get back to the place where he belong and gives him inspiration. A graduate of BS in Industrial Engineering at Bulacan State University. He is also one of the people who spearheaded CHAEZ’Kuro Biswal, a local art group in Guiguinto. Being a pioneer member of CHAEZ’ Kuro, he was able to earn skills and appreciation on visual arts thru the years.